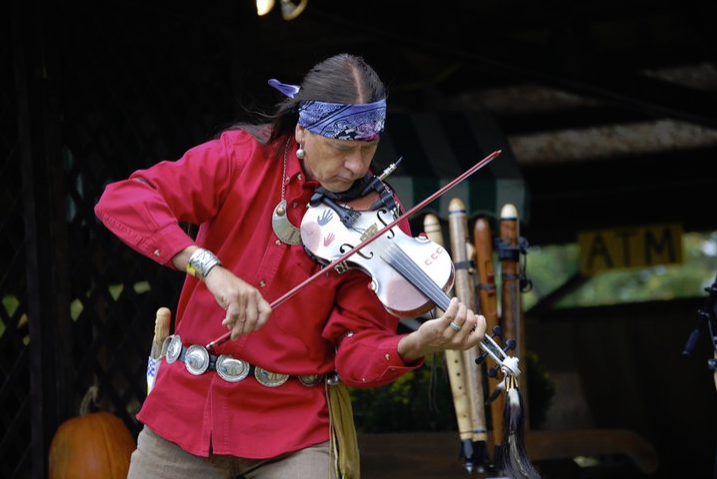 Arvel Bird is an award-winning classically trained violinist of Paiute and Scottish heritage. He was born in Idaho, and raised in Utah and Arizona. In addition to studying music at Arizona State University, he studied violin under Paul Roland at the University of Illinois Champagne/Urbana, a renowned Hungarian violinist. Bird performs and records in a number of diverse music genres, including Native American, Celtic, classical, world fusion, blues, jazz, bluegrass, New Age, folk, Cajun, Western swing, Appalachian, and American roots and toured the world with Glen Campbell, Loretta Lynn, and Ray Price before starting his own solo career focusing on Native American and Celtic music. Bird has released 16 albums, two DVDs, and has scored several film projects.